A "Holy Habit" That Will Change Your Life! Experience true spiritual transformation: invite God's presence into your life! 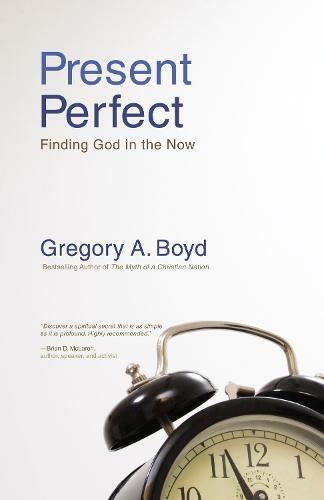 Popular author, theologian, and pastor Gregory Boyd shows you how-simply, practically, and effectively-in this thoughtful and accessible book. Discover: * How to pray continually * What it means to "take every thought captive" * How to wake up to God's ever-present love God is closer to you than the air you breathe. He is present in every given moment. Wake up to his presence! Turn off the mental chatter that keeps you from seeing his glory. Embrace the holy habit of inviting God's presence into your life, and be transformed! Wake Up to God's Presence! We long to be transformed. Yet our minds are filled with endless trivia and self-centered chatter. To-do lists. Worries about the past. Speculation about the future. We forget to live in the present moment ... and to invite God to be with us there. After reading classic contemplative authors Brother Lawrence, Jean-Pierre de Caussade, and Frank Laubach, theologian and pastor Gregory Boyd longed to experience the presence of God for himself. For two decades, he's attempted to implement the "practice of the presence of God" in his own life ... sometimes succeeding, sometimes failing. What he's learned as a fellow pilgrim on his spiritual journey can help you find true spiritual transformation as you begin to practice the discipline of inviting God into every moment. "I've become absolutely convinced that remaining aware of God's presence moment-by-moment is the single most important task in the life of every follower of Jesus," Boyd writes. "I'm convinced this challenge is implied in our commitment to surrender our life to Christ, for the only real life we have to surrender to him is the one we live moment-by-moment." Join Boyd on this transformational journey of a lifetime!